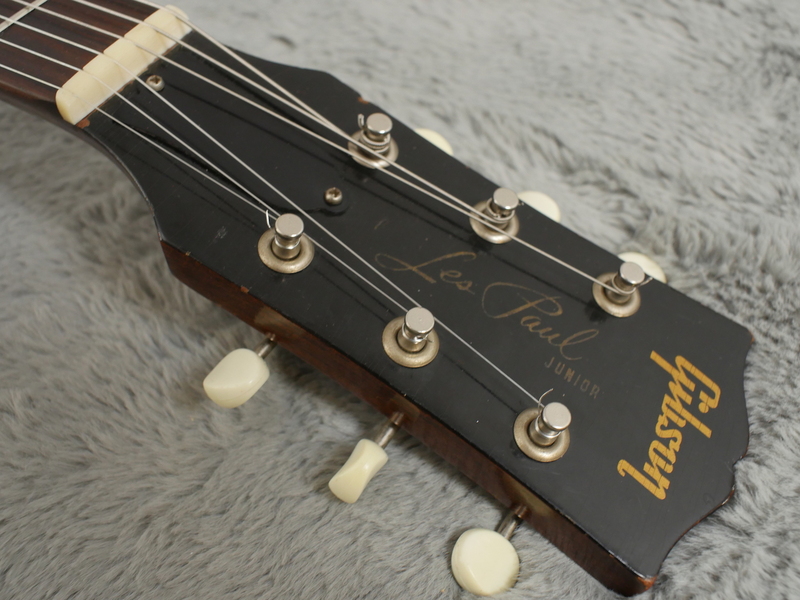 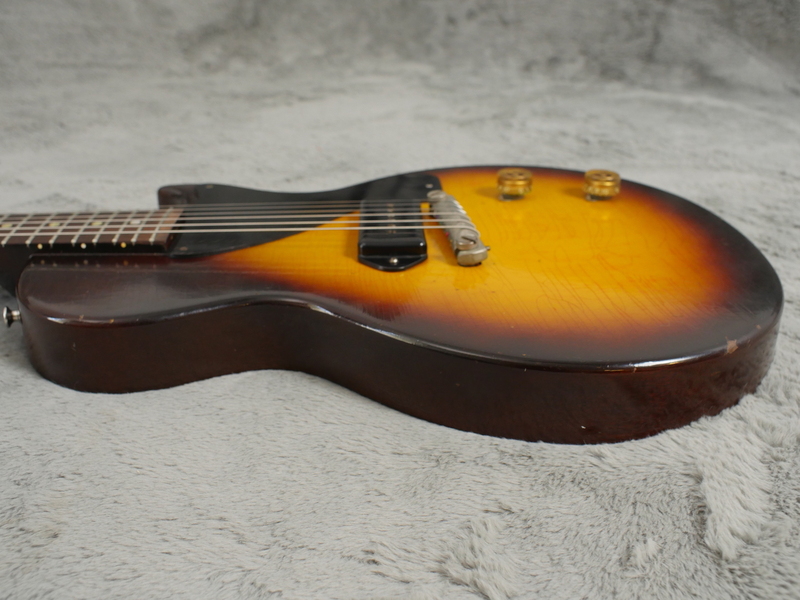 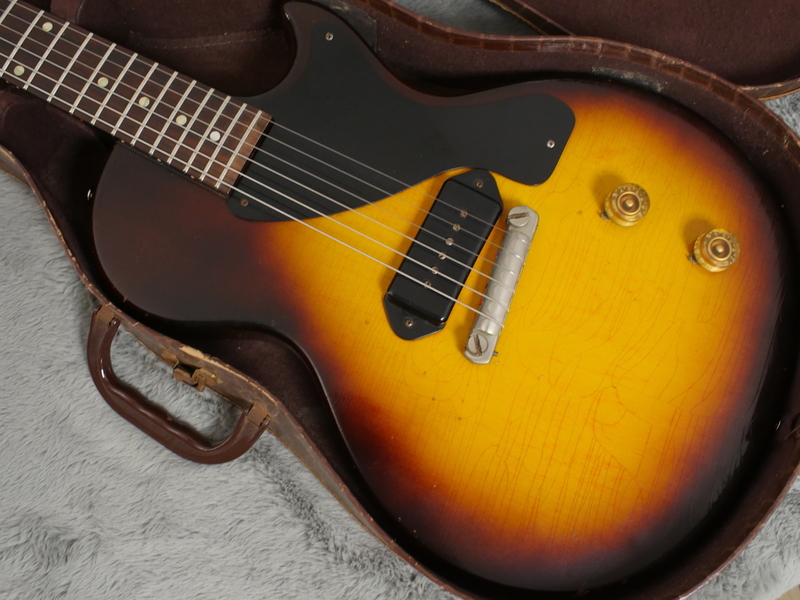 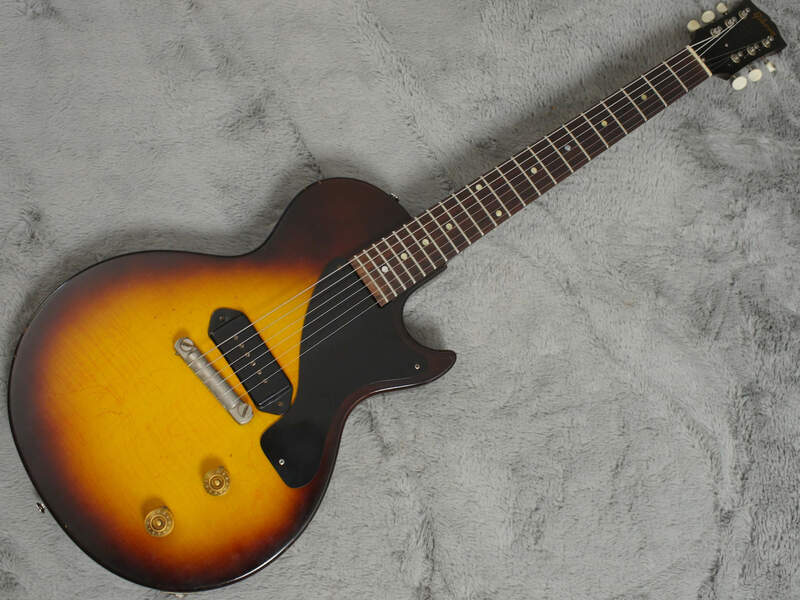 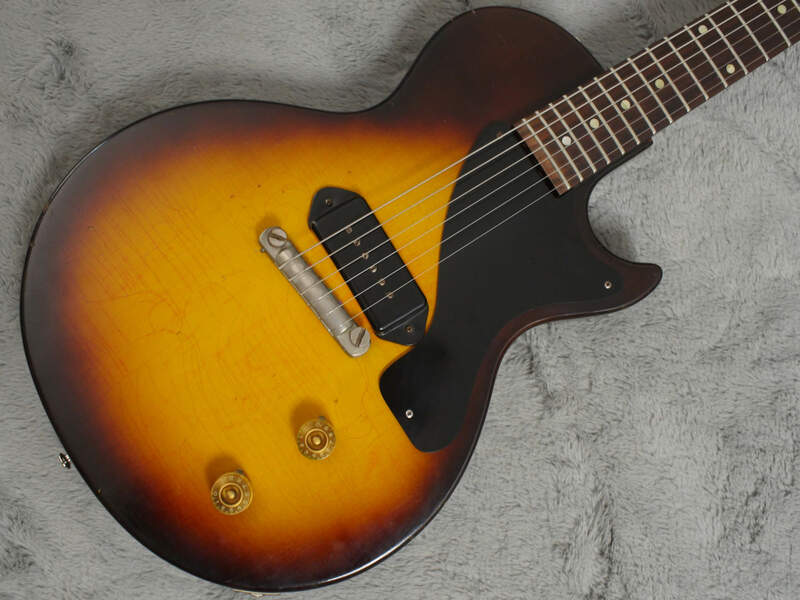 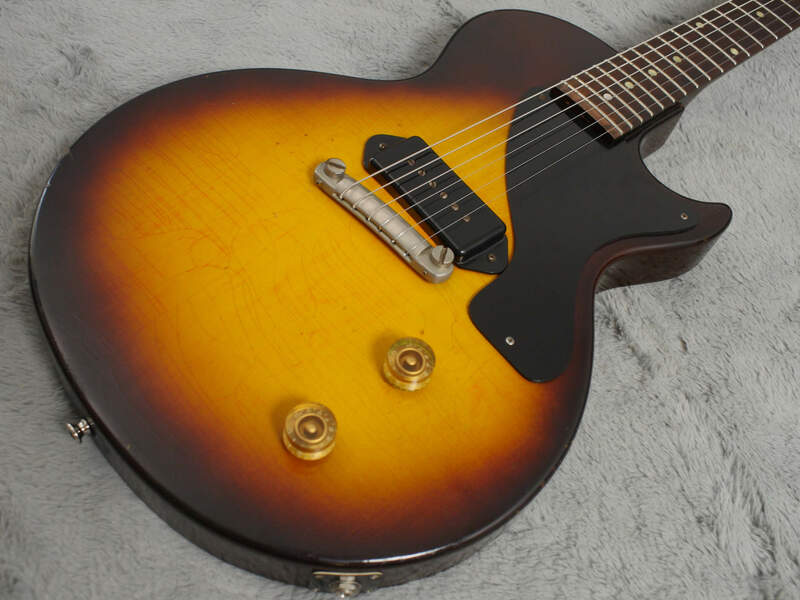 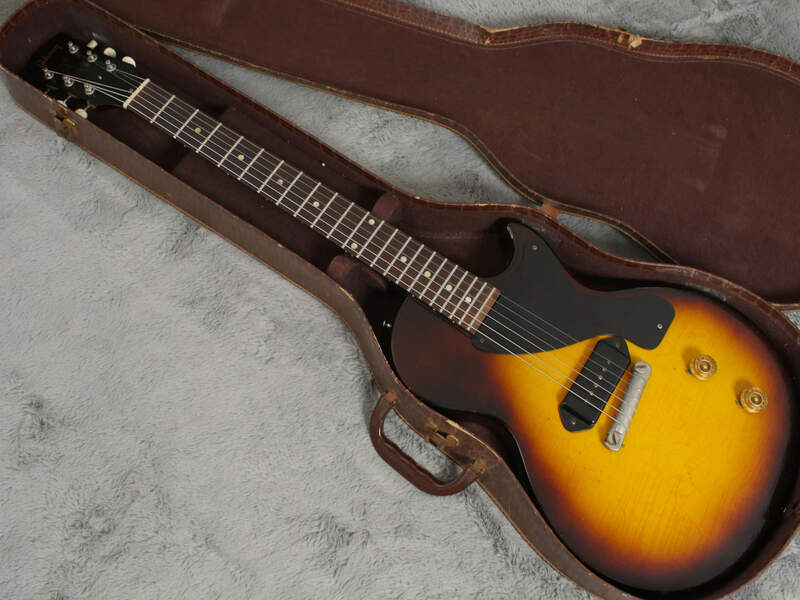 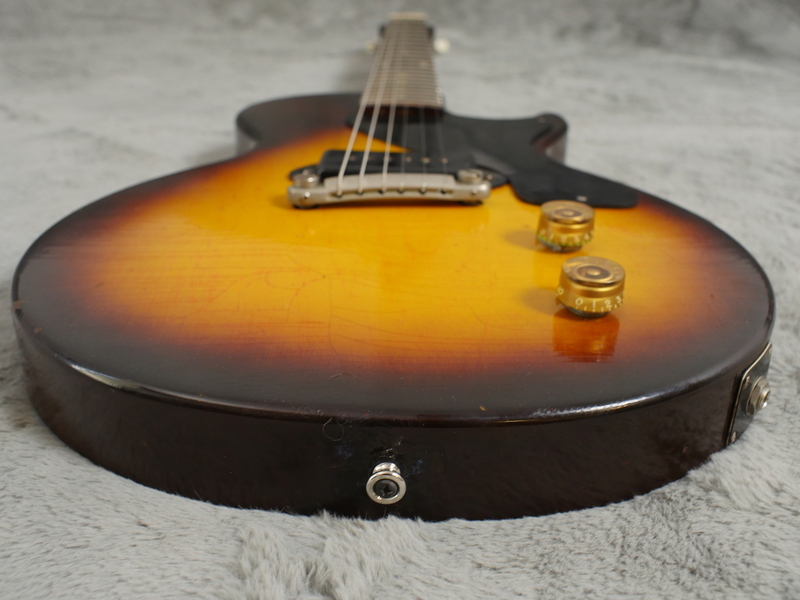 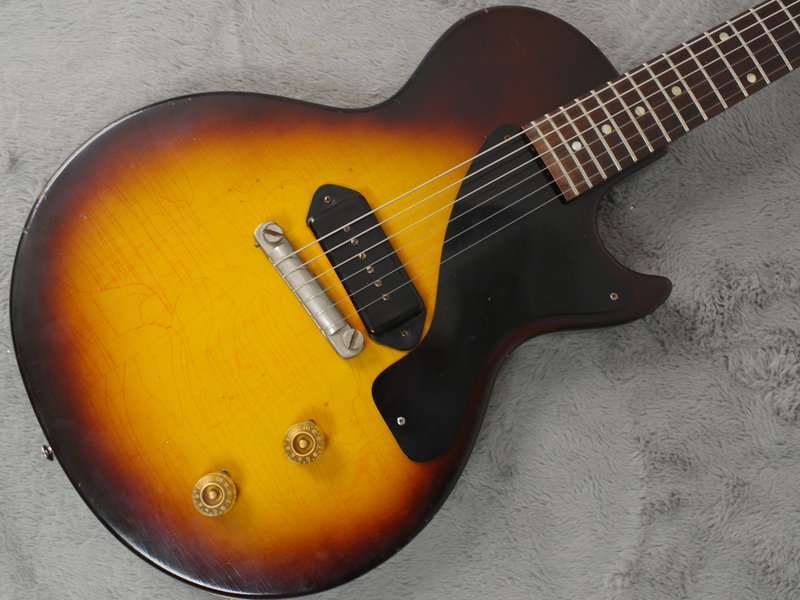 Superb, second year, classic, 1955 Gibson Les Paul Junior in lovely shape and plays like a demon. 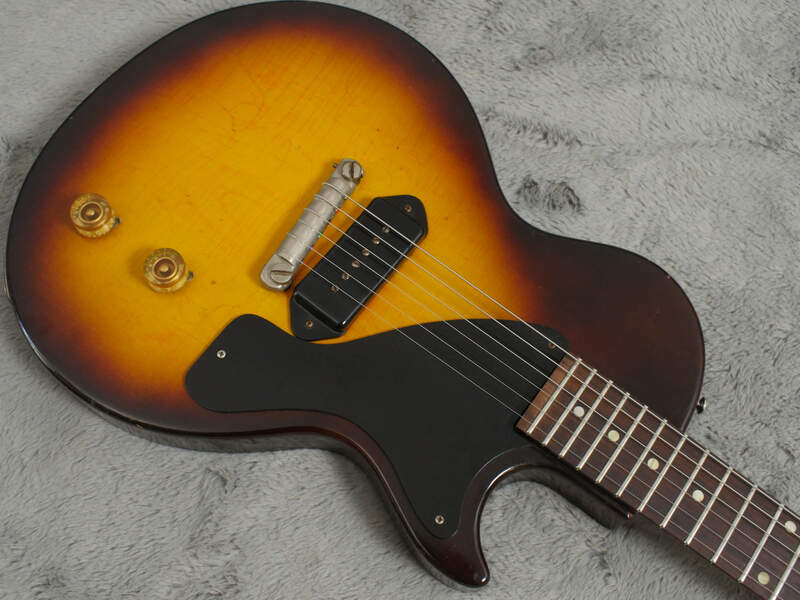 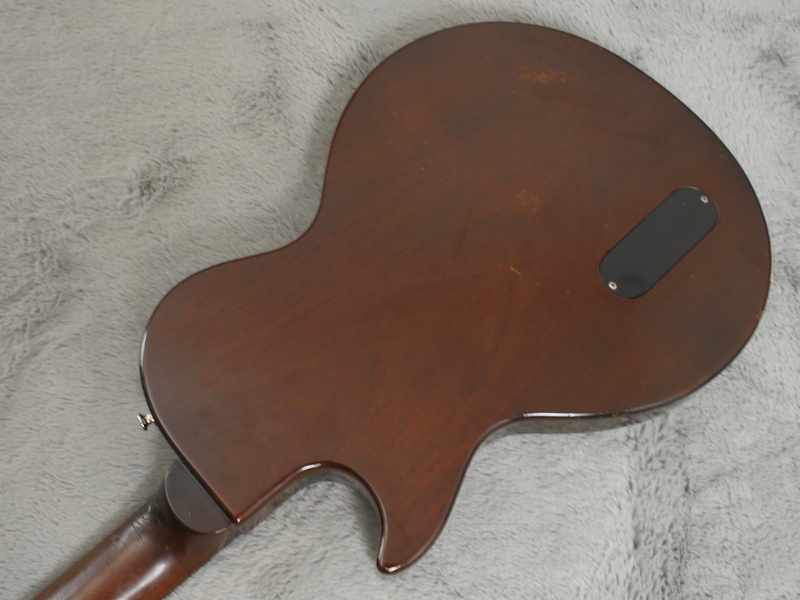 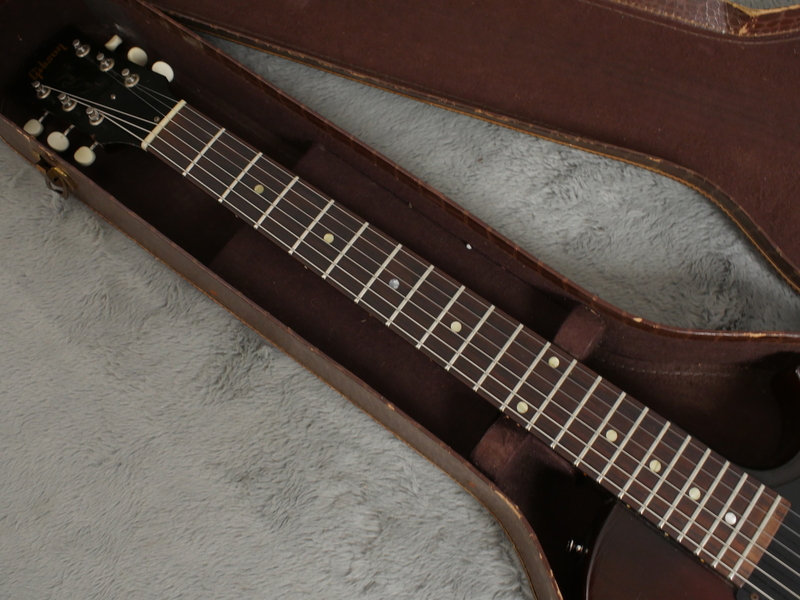 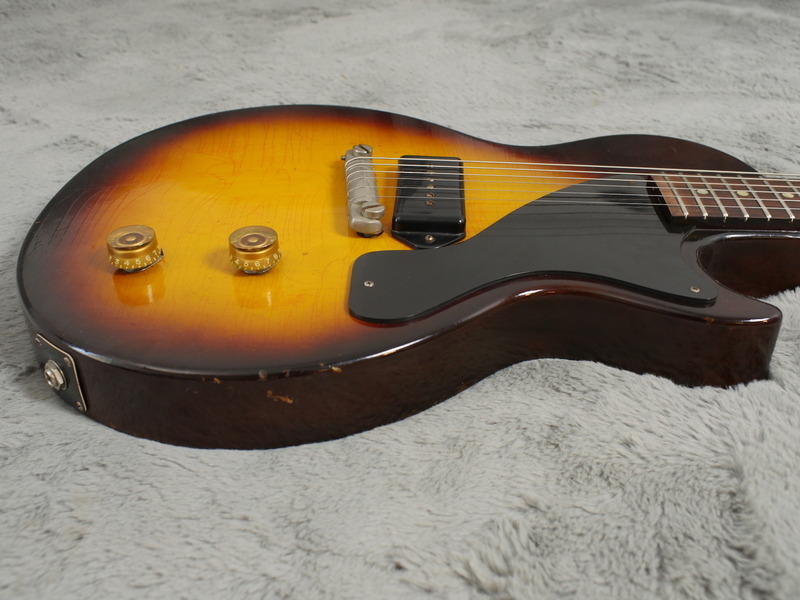 There is nothing to dislike on this very cool guitar which is nearly all original. 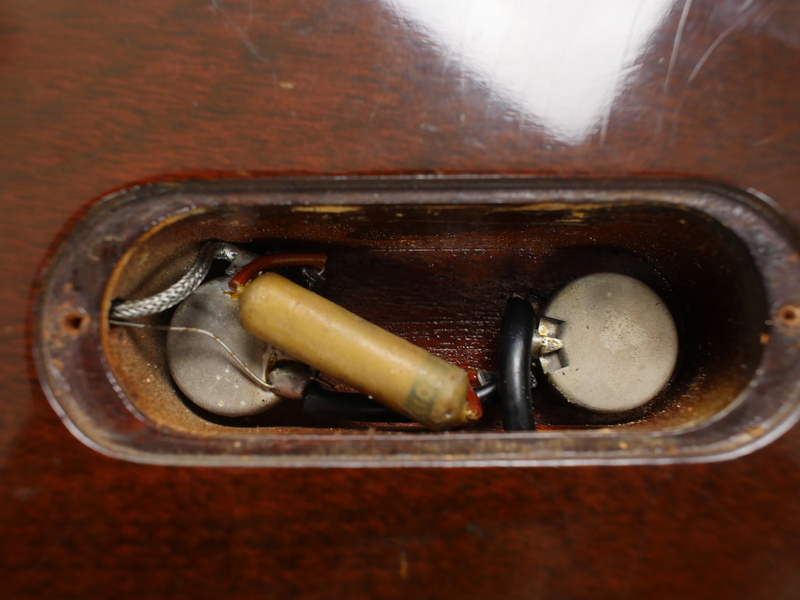 The only non original things are replaced tips on the original tuners (crumbled remains in a bag) and one replaced fingerboard dot. 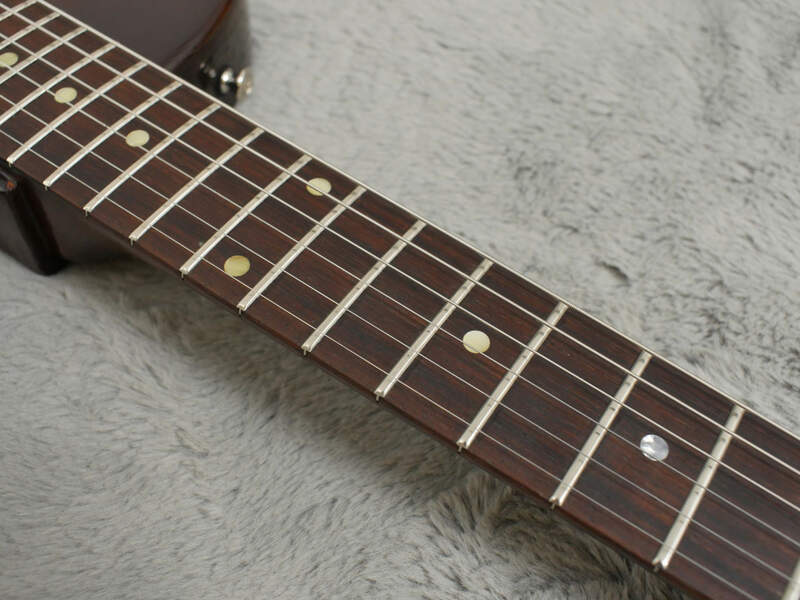 Very nice player, with good action that has room to go down even further. 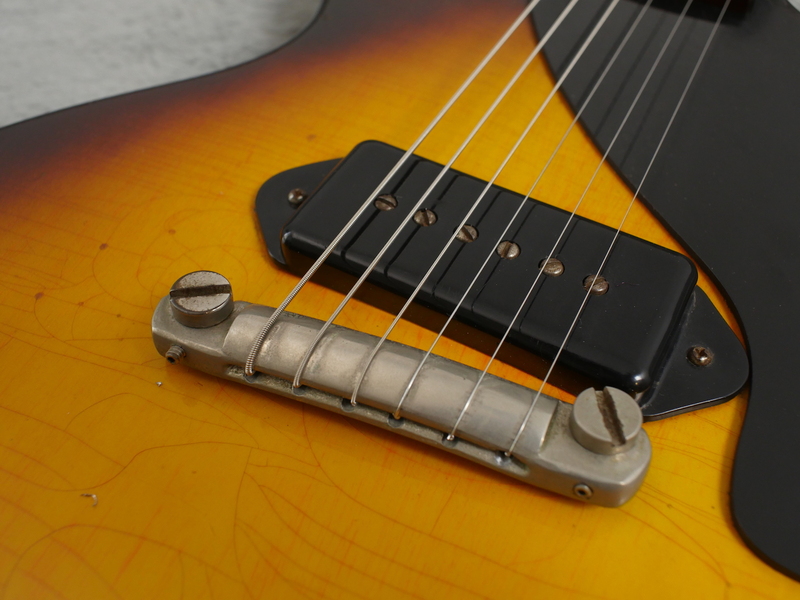 Stonking hot original vintage P-90 and beautiful tone that is up there with the very best Juniors we have had and yes, we have had loads! 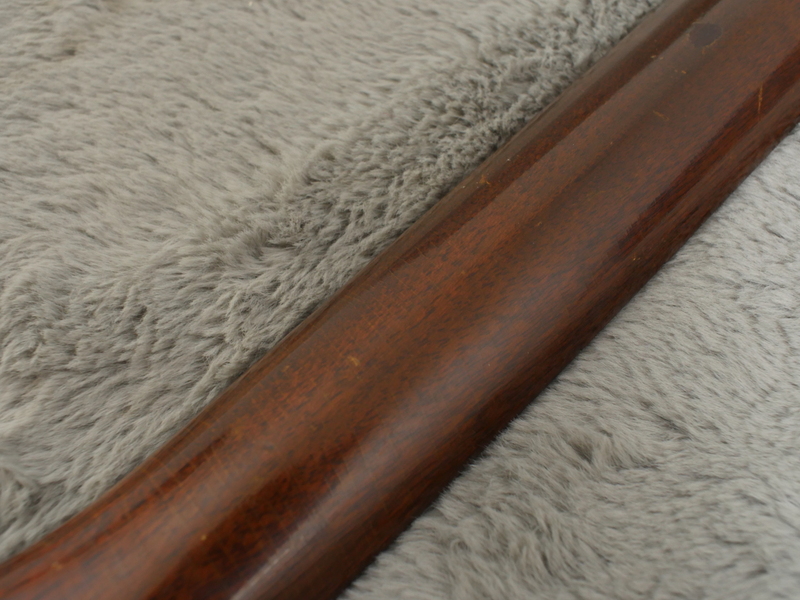 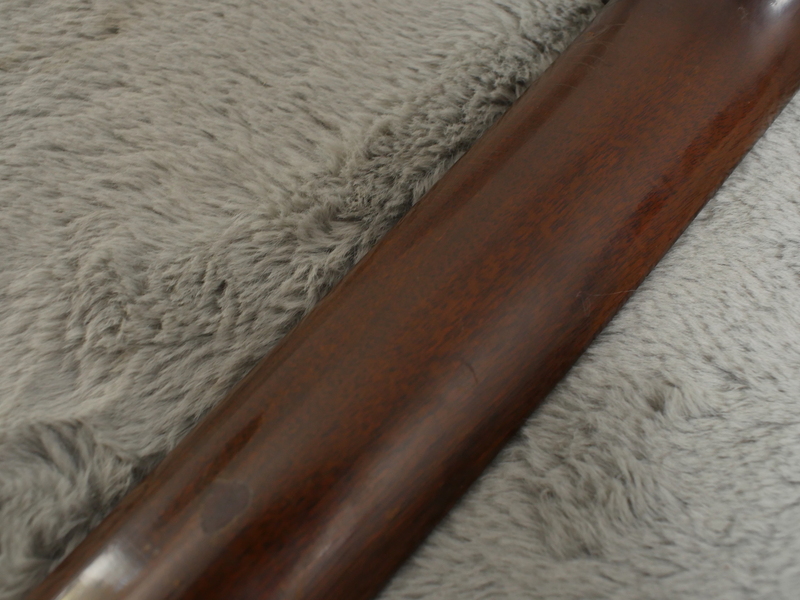 Beautiful, all original finish with no touch ups or overspray and just a bit of checking in places - have a look at the many photos in the gallery to see what we mean. 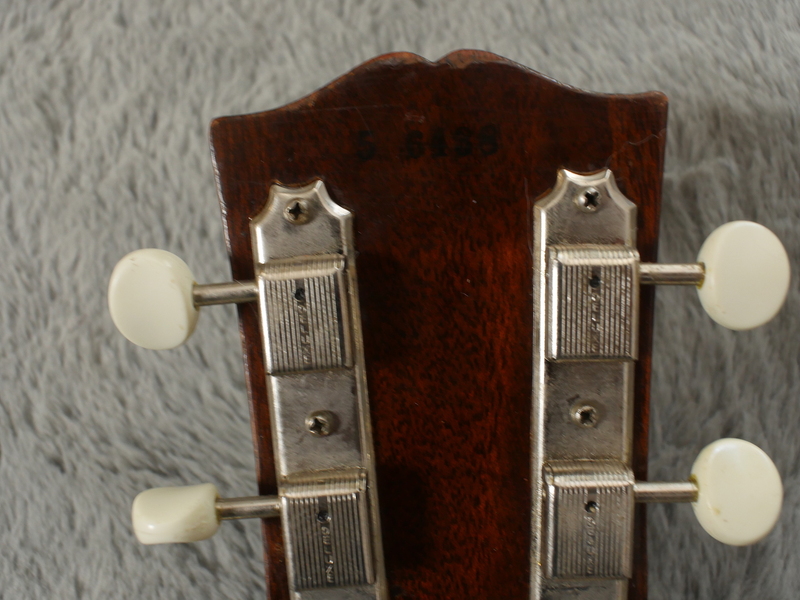 Very few dings and overall, in very nice shape indeed with a good weight for a 1955 (some can be heavy). 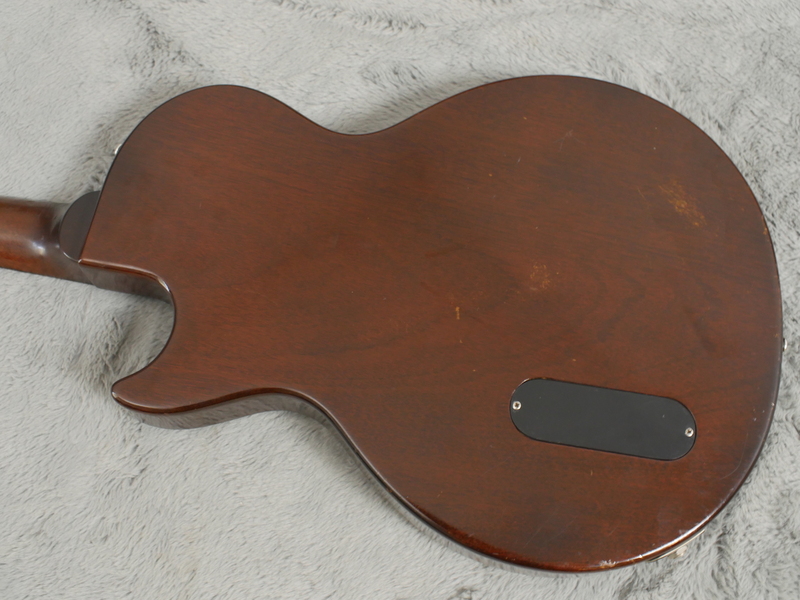 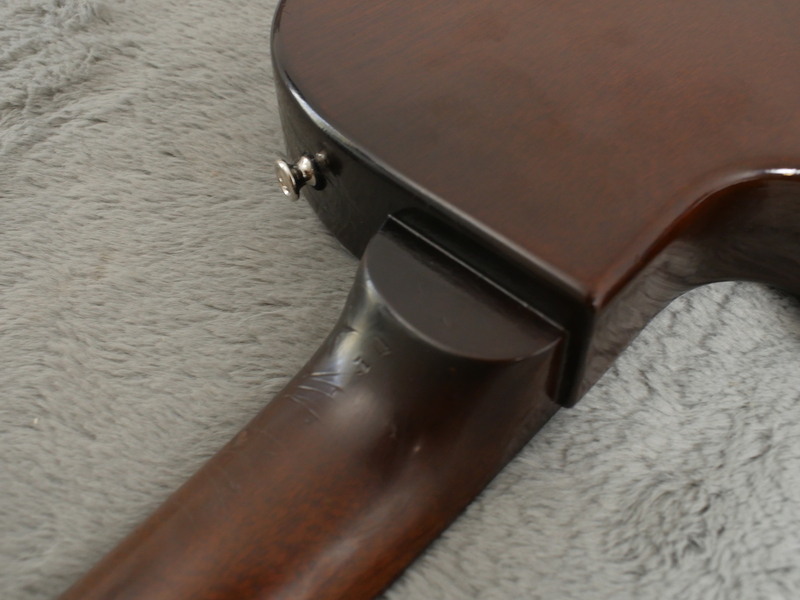 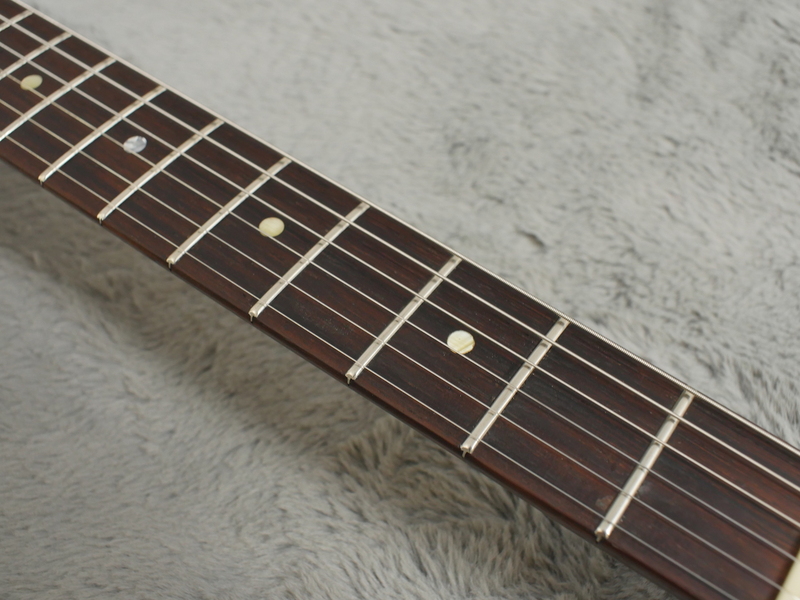 Lots of life left on the frets and no funny business with the neck which is dead straight. 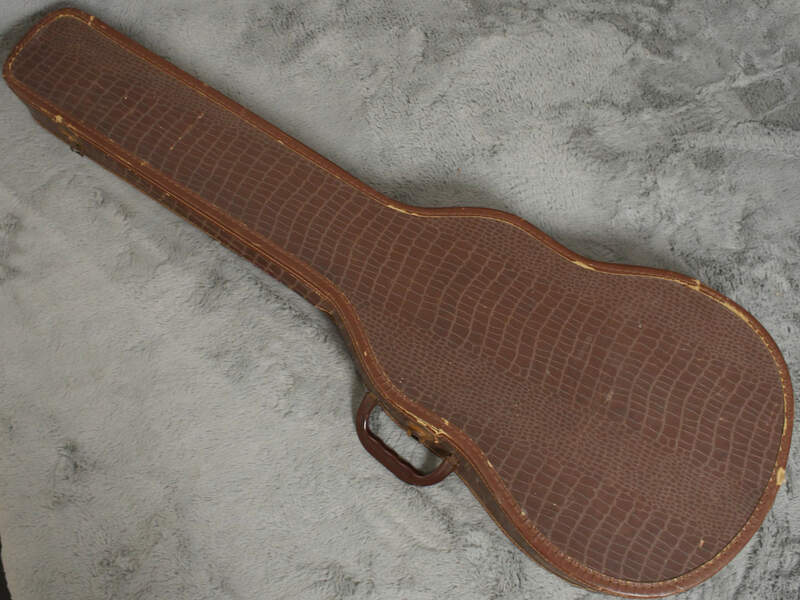 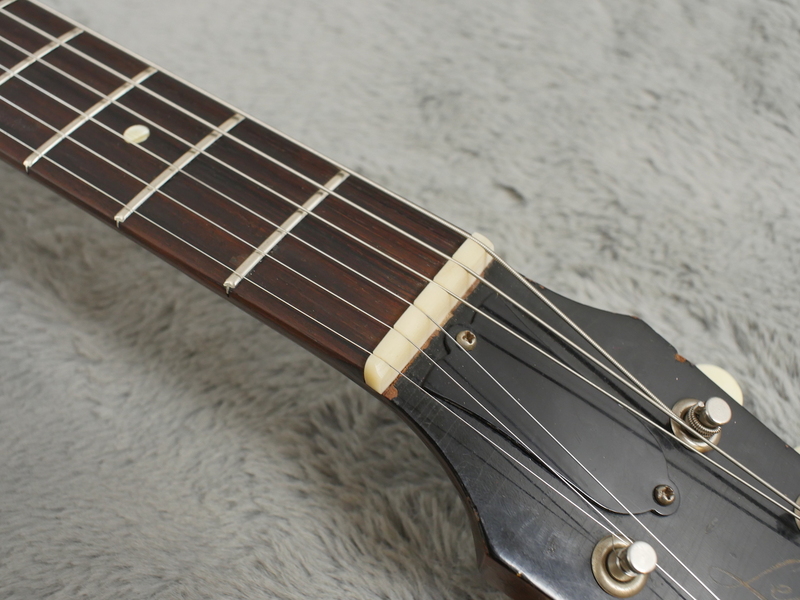 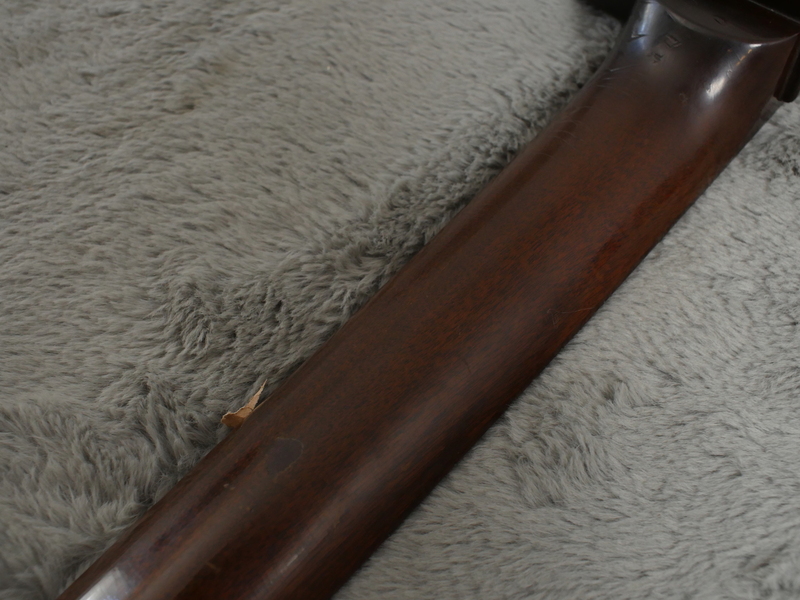 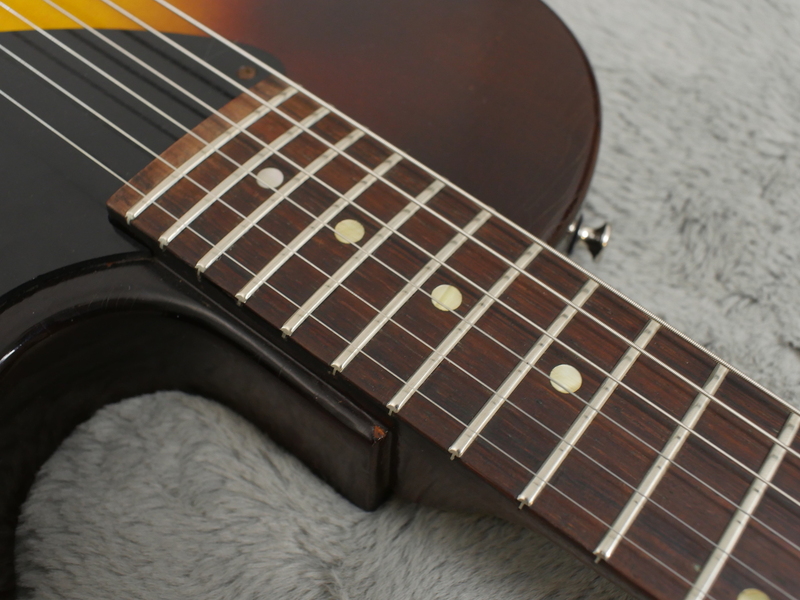 A lot of these started off in life with really heavy gauge strings fitted which sometimes does not do the neck any favours but this one has not suffered at all like this. 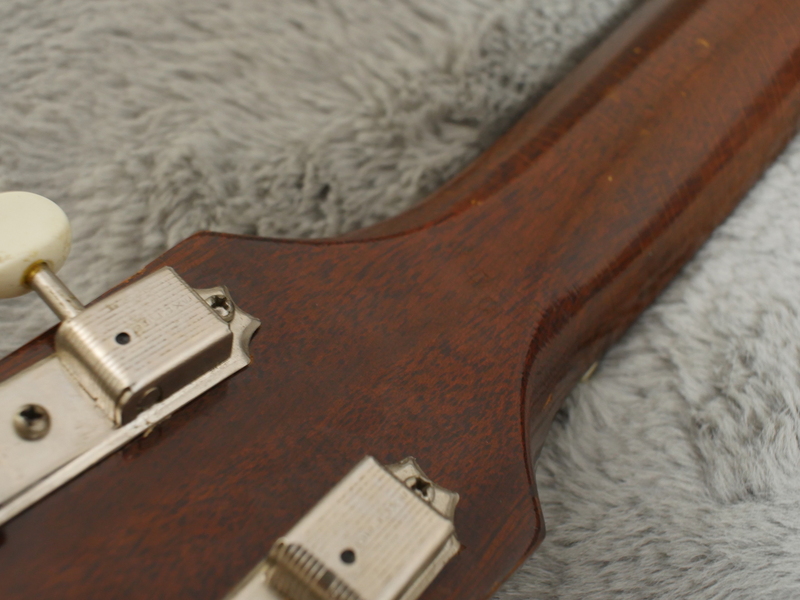 Looks like someone used it for a while with a studded strap, or something on a strap which reacted with the clearcoat as if you look closely you can see some wear marks just by each of the strap buttons but these are not noticeable until you get close and have hot gone through to the wood. 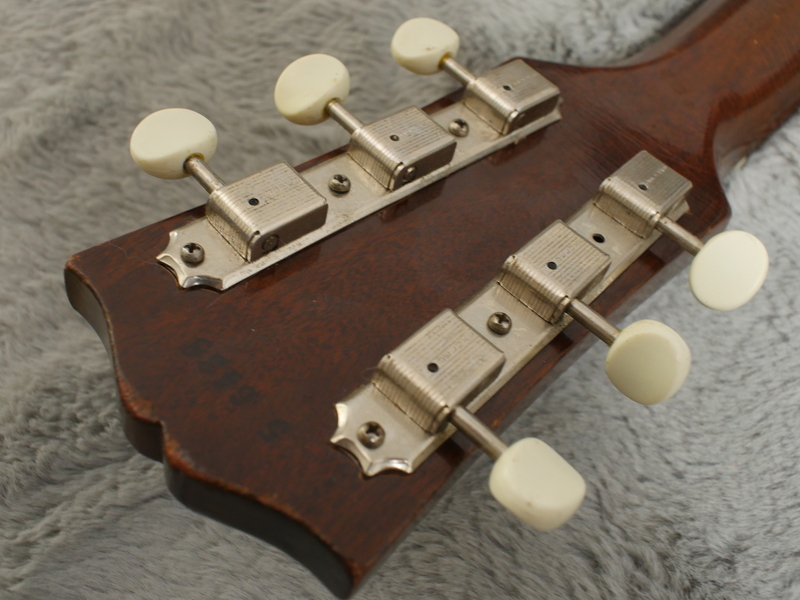 All original solder, pots, pickup, electrics and all correct hardware on this make it a very nice example indeed. 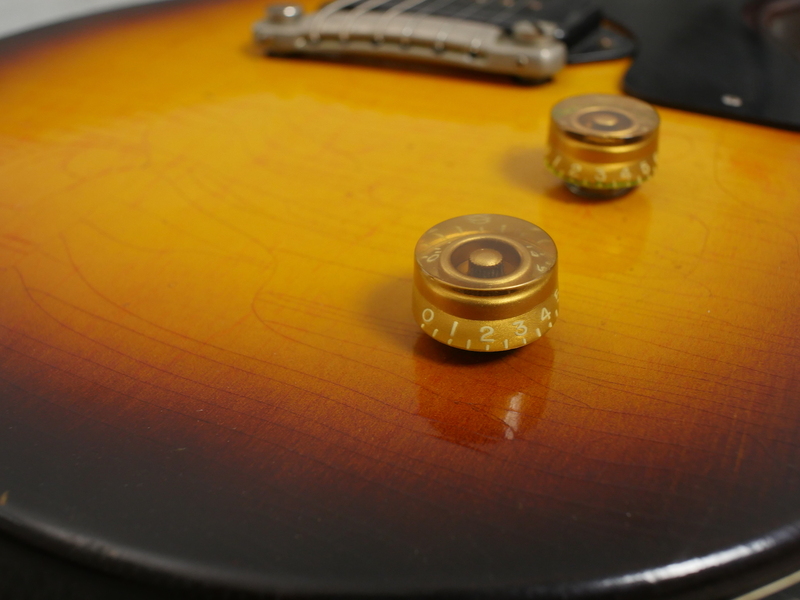 Not very often you get them in playing as well as this one too.